Our professional staff at Dr. Richard Wilczek Inc. loves helping clients maintain a healthy smile. Our dentists in Prince George, Dr. Wilczek, (New) Dr. Michelle Wilczek-Piekarska and Dr. Kaplan, have years of experience working with clients of all ages, and our hygienists and office staff are always willing to provide you with friendly, personalized assistance. As the dentists Prince George has known for many years, we go beyond our regularly scheduled business hours and operations. We also remain active in the community, helping out wherever and whenever we can. I have always believed dental health and dental care are more than just cosmetics. Healthy teeth and gums will last a lifetime with good dental care and regular dental hygiene. I have supported and continue to support dental care for all sectors of society: young children, the low-income, the elderly, and those in residential care. Access to dental care treatment is important for everyone. I am involved in the Dental Program at CNC, providing instruction and mentorship to future dental assisting and hygiene graduates. I have worked closely with this program for 25 years. I also continue to provide residential dental care to the patients in Jubilee Lodge and at the Emergency Outreach Clinic, located in the Native Friendship Centre. I am a firm believer in lifelong learning as well as maintaining and improving my clinical skills to keep current with modern dental treatment. I have taken and continue to take advanced dental courses in orthodontics, implants, and sedation. Born in Cincinnati, Ohio, Dr. Scott Kaplan immigrated to Canada in 1976 after graduating from the University of Louisville Dental School. Moving to Prince George in 1978, he set up a dental practice in the Victoria Medical Building. In 2010, after 32 years of solo practice, Dr. Kaplan joined forces with Dr. Wilczek. Together they have established a new, state-of-the-art dental office in the Victoria Medical Building. Dr. Kaplan enjoys many outdoor activities in his leisure including hiking, skiing, and canoeing. We are pleased to welcome Dr. Michelle Wilczek-Piekarska to our team! Michelle and her growing family are excited to move back to Prince George. Michelle grew up in Prince George and has always felt at home here being an active member of local swim and soccer teams since she was young. 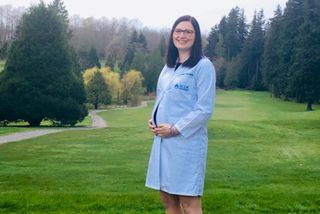 After many years away studying in both Canada and Europe she has graduated from UBC with her dental degree and completed a general practice residency where she spent time working at Vancouver General Hospital and BC Cancer Agency as a member of the dental team. She is looking forward to meeting you and welcomes new patients. I am a strong believer in supporting the community and providing care to all, not only to those who visit our dental office. My most recent endeavour was to establish the Pain Control Clinic in Prince George. The goal of this clinic is to provide emergency dental care for those in need. I am very pleased with the success of this clinic and the support it has had from the dental community. The clinic is open every second Tuesday of the month and is run by volunteer dental staff. Since 2000, I have been actively involved in geriatric dentistry with Northern Interior Health. Specifically, I visit Jubilee Lodge, a long-term care facility in Prince George. I spend 4 hours each month at the facility offering treatment to the residents who are unable to visit a dental office. Apart from clinical practice, I have a passion for education and helping to train new dental staff. For the past 25 years, I have been a part-time clinical instructor at the College of New Caledonia in the dental hygiene program. In the past, I also served in different management and executive roles for the BC Dental Association (BCDA), and I enjoyed the various challenges and opportunities that those positions afforded me. If you have any further questions about our clinic, don’t hesitate to get in touch with our staff.